Museica's BYOB Sip & Paint - OPEN CLASS! Join us for our OPEN sip and paint class! Paint ANY of our painting selections available. Museica's Art Studio is the perfect place to unwind after a long day. 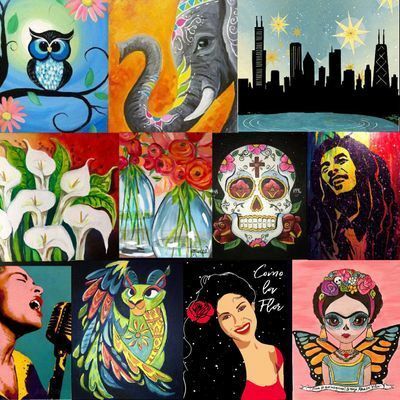 Relax and enjoy the music as we explore the colorful world of painting - It's BYOB so feel free to sip while you paint! We'll guide you through the steps needed to complete your painting, no experience necessary! You'll get to choose from over 50 painting options we've painted since we first started! Pick your favorite one and paint it on an 11"x14" canvas which you'll get to take home with you at the end of the class. Museicas BYOB Sip &amp; Paint - OPEN CLASS!